An impressive gift that will get noticed! Our branded wooden gift box contains our 500 ml. 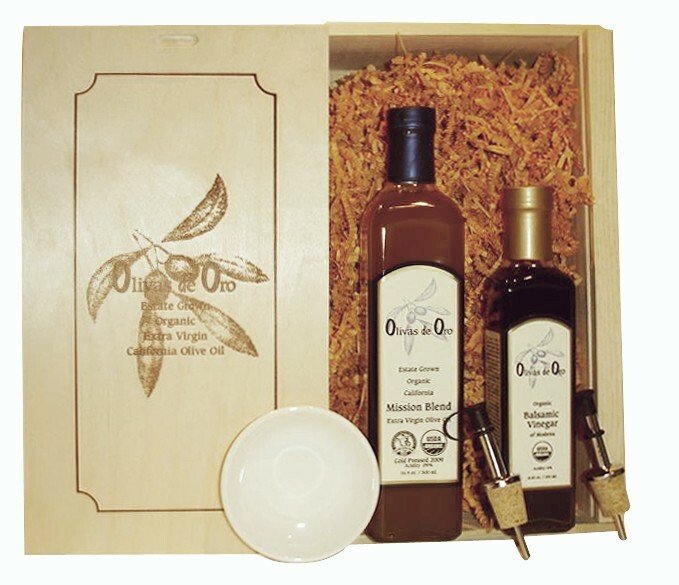 bottle of organic, estate grown Mission Blend Extra Virgin Olive Oil and a bottle of organic traditional Balsamic Vinegar from Modena. Also included is a ceramic dipping dish and pourers for both.